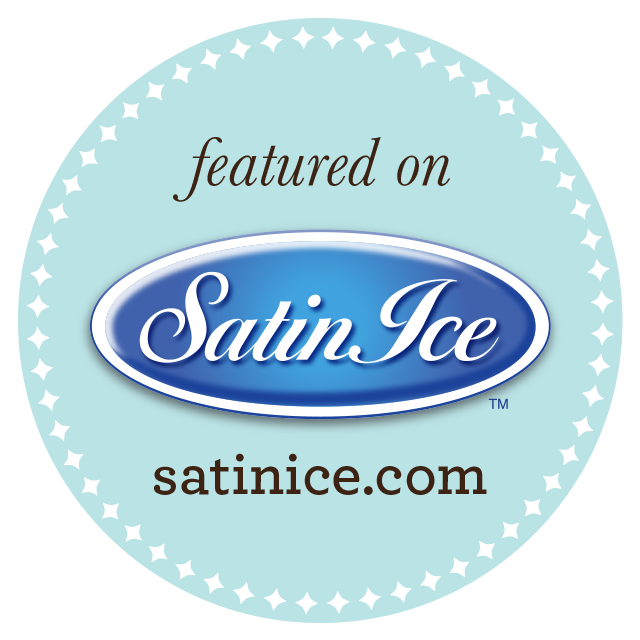 A Red Velvet Cake layered with Cream Cheese frosting & Frosted in Ganache. 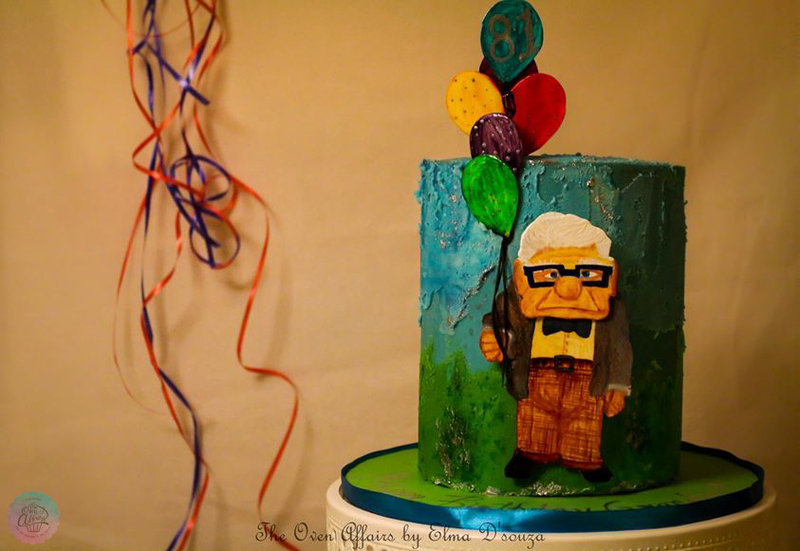 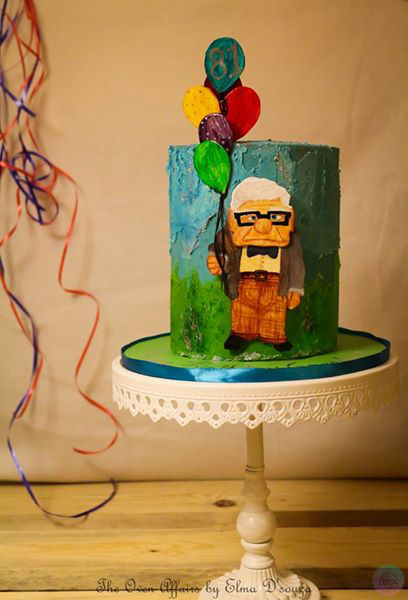 The scenery on the cake has been textured with Buttercream & the character Carl holding the balloons has been handcrafted with Gumpaste and Handpainted in edible colors. 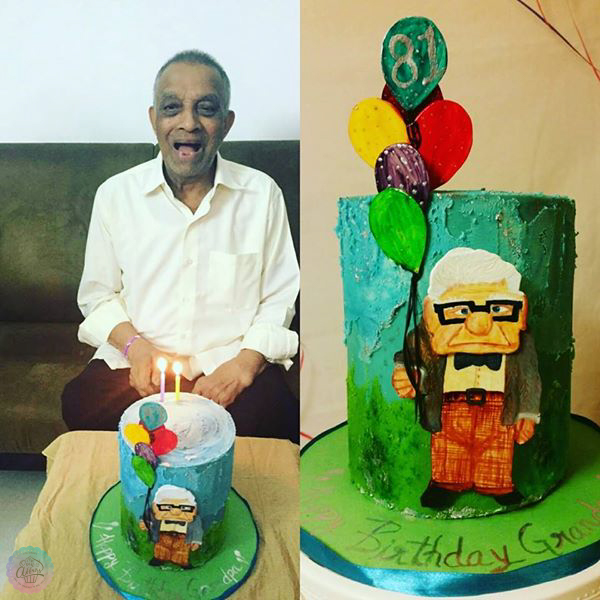 Made for Manisha's Dad, on his 81st birthday, a dear Grandpa to her children who affectionately address him as Carl because of his resemblance to the character from the movie.